When undergoing treatment for cancer, you may develop an aversion to foods, or you may experience side effects, such as mouth sores or nausea, that make it challenging for you to consume whole foods. However, you need sufficient nutrients during this time to heal and to keep your healthy tissues as well nourished as possible. Because protein plays a vital role in repairing and maintaining tissues, protein powder supplements can help you meet your protein needs as a cancer patient. However, consult with your health care practitioner or a dietitian before substituting protein powders for whole foods in your recovery diet. 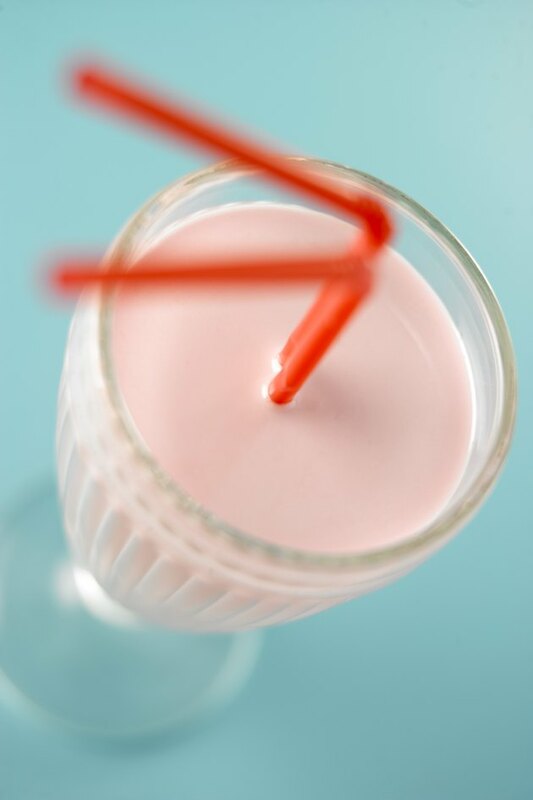 Whey protein is one of two proteins found in milk. It is commonly used as a supplement for athletes because it contains a high proportion of branched-chain amino acids, protein building blocks that help build muscle and prevent muscle loss. As a cancer patient, you may be at risk of losing muscle mass as you go through treatment, and therefore whey protein can help prevent muscle atrophy. Whey protein powder supplements contribute all the essential amino acids to your diet; however, they might also contain the milk sugar lactose. Cancer patients sometimes develop an intolerance to specific food components, such as lactose, and if this occurs, whey protein may be contraindicated for your diet. Powdered milk contains both whey and casein to contribute to your protein intake. It is recommended as a supplement by both the University of California San Francisco Medical Center and the Washington University School of Medicine Siteman Cancer Center for your cancer diet. You can add powdered milk to regular milk, ice cream shakes, puddings, gravies or cream soups to boost the protein and calorie content of these foods. As with whey protein supplements, powdered milk offers the full complement of essential amino acids; however, it also contains lactose, which might cause intestinal distress if you are lactose intolerant. Instant breakfast powder contains milk powder, sugar and flavoring. As a protein powder supplement, it is less versatile than whey or powdered milk, both of which you can incorporate into sweet and savory foods as well as into the batter of baked goods. Instant breakfast is a suitable addition to sweet beverages such as milk, shakes or smoothies, and it may offer more calories than whey or powdered milk. It can therefore help you maintain your weight during cancer treatment. Because it is derived from milk, however, it may not be a good choice if your digestion cannot handle lactose. Soy protein powder is a source of high-quality protein that originates with soybeans. This plant protein, commonly sold as an isolated powder supplement, may help meet your protein needs as a cancer patient but carries potential health considerations in addition to the nutrition it offers. The isoflavones in soy display mild estrogen activity, and whether this activity promotes or reduces tumor growth is unclear, according to the American Cancer Society. Additionally, soy protein powder may slow the development of prostate-specific antigen – a prostate cancer marker – offering a possible benefit to men with this type of cancer, says the ACS.